Have you been scouring the web in search of an easy-to-use, free online Markdown editor? There are plenty of good options, but also many inferior ones as well. The problem is, you don’t know which is which until you spend the time to find out. 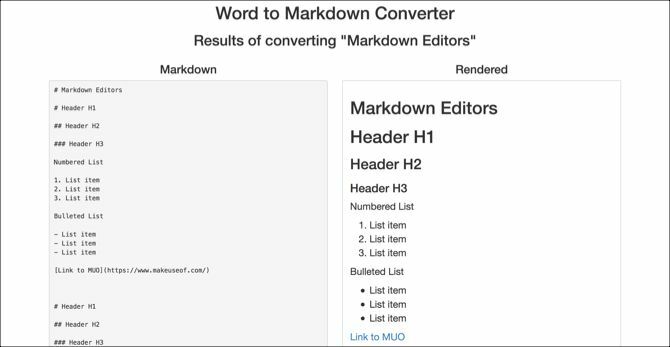 Need a tool that lets you write in Markdown or gives you the ability to convert a document into Markdown? Here is a list of the best Markdown editors for doing both. These free online Markdown editors let you either paste in your text from another location or write it directly in the editors. What makes StackEdit such a standout editor is that it’s ideal for those just learning how to write in Markdown. As you type your text on the left side of the editor, you can apply the formatting with a toolbar similar to what you would see in Microsoft Word. You can use simple buttons for font formatting, lists, blockquotes, and links. The Markdown side of the editor on the right changes it to the correct syntax automatically. Folder organization, focused writing, and reader mode along with word, line, byte, character, and paragraph counts. Importing of Markdown and HTML files as well as exporting to Markdown, HTML, PDF, and Pandoc. Note that small fees may apply for certain types of file exports. Syncing with Google Drive, Dropbox, and GitHub along with linking to WordPress, Blogger, and Zendesk for publishing. Accessible file history and properties, templates, and a handy Markdown cheat sheet. 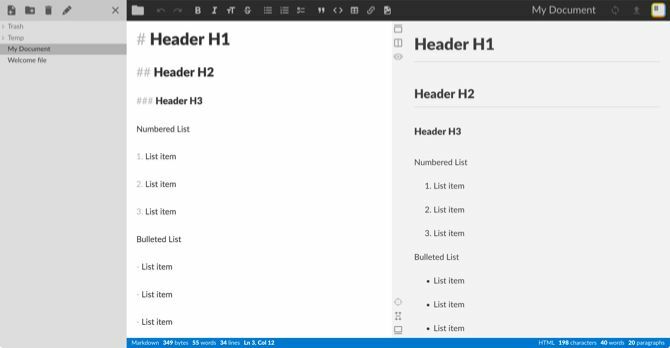 For a free online Markdown editor with a great set of features, give StackEdit a try. Dillinger is another really nice Markdown editing option. This tool is perfect for those already familiar with writing in Markdown because there isn’t a toolbar; just a full editor. Type your text on the left and see it display in rich text on the right. You can switch to an HTML view instead of rich text with a click of a button. The editor also lets you work in a distraction-free, full browser screen mode. Linking, saving, and importing from services like Dropbox, Bitbucket, GitHub, Google Drive, OneDrive, and more. Previews and exports in HTML, styled HTML, Markdown, and PDF. Auto-save, word and character count, and scroll sync for the editor. If you’re familiar with Markdown and want a clean, free online editor, Dillinger is a winner. 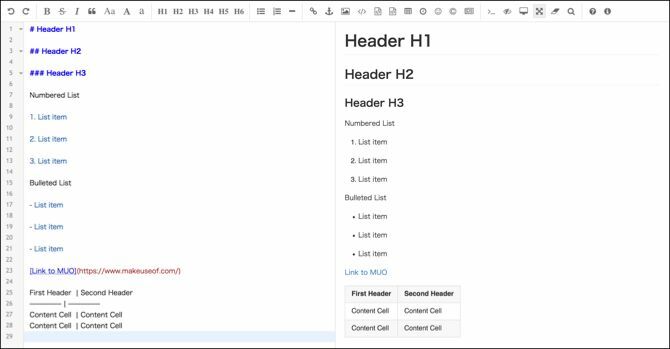 Another Markdown editor, similar to StackEdit, is Editor.md. This open source tool also gives you an easy-to-use toolbar, with even more formatting options that are helpful for Markdown beginners. 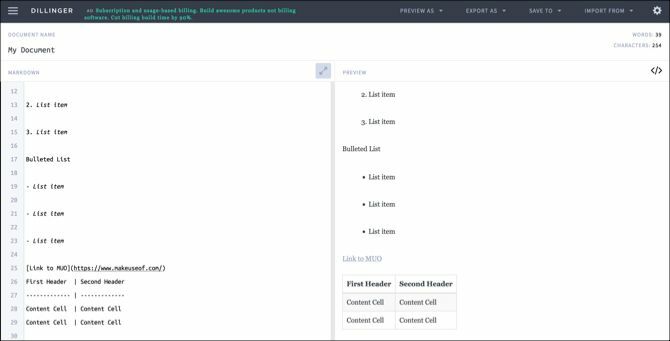 You can format everything from fonts to headers to lists. You can also quickly insert links, images, code blocks, tables, emojis, and special characters. Use the online editor or download the application if you prefer. When using it online, you’ll simply copy and paste the rich text version you produce into your desired location. HTML previews with a click. Full screen, focused writing without distractions. A search tool and a go-to line option. For a simple Markdown editor that offers a more robust toolbar, check out Editor.md for free. 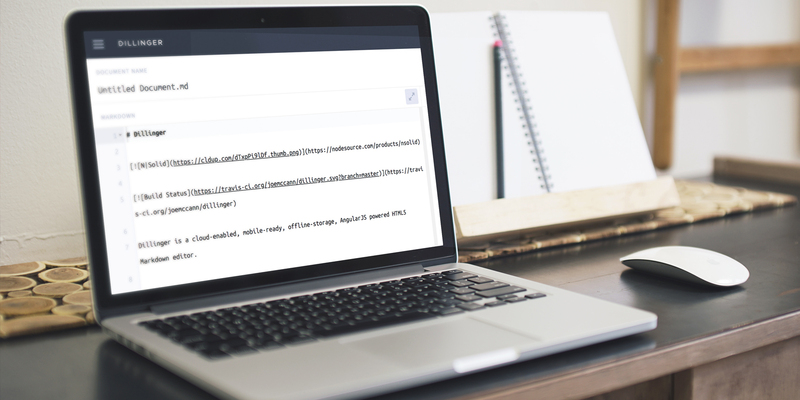 With these free Markdown tools, you can paste in your rich text or upload your document. Then in a snap, convert it to Markdown. 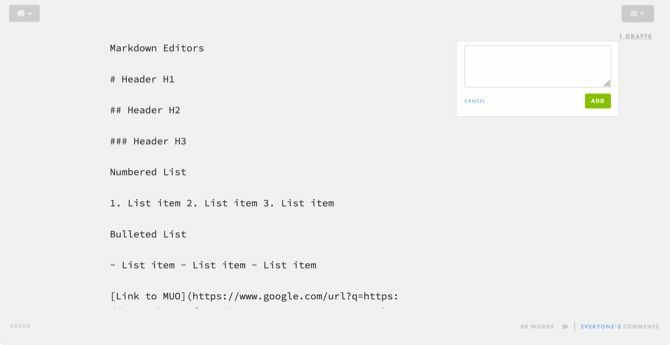 With Draft, you can easily convert documents written in rich text to Markdown that include headers, lists, links, and other items. Import a document from locations like Dropbox, Google Drive, Evernote, Box, or your computer. Drag and drop or browse to import your file. Then, just wait a few minutes and your converted Markdown document will display. Share your document with a link that lets others help you edit it. Create folders to organize your documents. Publish to sites like WordPress, Blogger, Tumblr, LinkedIn, and others. Adjust settings for font style, size, and color along with background color. You can create an account with Draft for free and receive email notifications for when your documents have been converted and are ready for you. For a good Markdown tool with extra features, head to the site and try out Draft. Paste to Markdown is one of the simplest sites for converting documents to Markdown. You won’t find any extras or fancy features with this tool. But it’s quick, easy, and works. Copy the text from your document or another website. Paste the text directly onto the main page of Paste to Markdown. You’ll see your document in Markdown and can then copy it and paste it where you need to. That’s it! You don’t have to click any buttons, hit any keys, or move your mouse. Once you paste the text onto the page it’s converted for you to copy and go. It doesn’t get any easier than Paste to Markdown. One final online Markdown tool to try is Word to Markdown Converter. As the name implies, the site currently only works with Microsoft Word documents. However, it does it well. Use the Browse button to locate your document or drag and drop it into the bottom section. When the new tab opens, you will see both your original and new Markdown text. Then, copy the Markdown text and paste it where you need it. The simplicity of Word to Markdown Converter is like that of Paste to Markdown. There are no bonus features or actions you need to take other than grabbing your document. The only difference is that this free online tool only works with Word. So, if Word is your writing application of choice; this is your tool. Whether you write in it regularly or are just learning Markdown, these free online tools deliver. And if you’re interested in finding out more about what Markdown is and why you should learn it, we’ve got you covered there too.